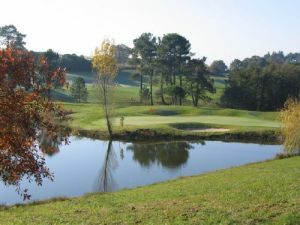 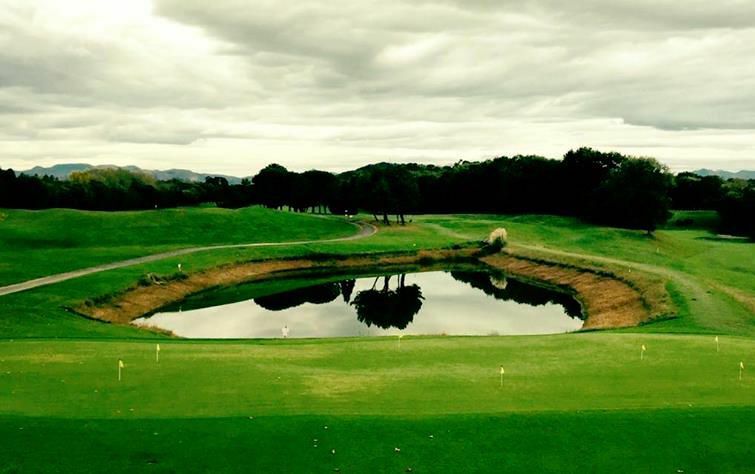 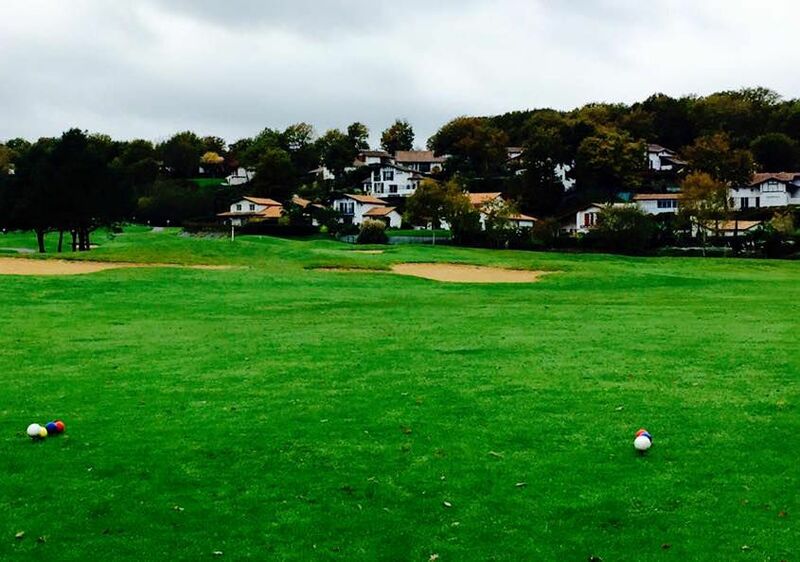 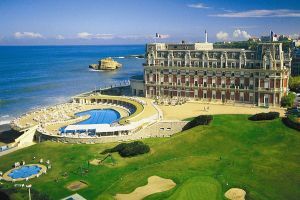 Near Bayonne (about 4.2mi) from Biarritz (about 6.4mi), the 18-hole Makila Golf Club is located in Bassussarry in the heart of the Basque Country, on the foothills of the Pyrénées. 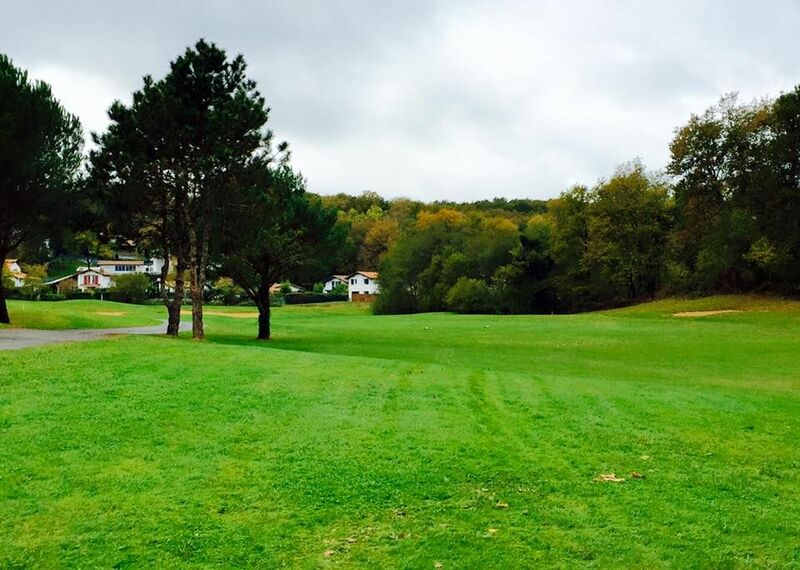 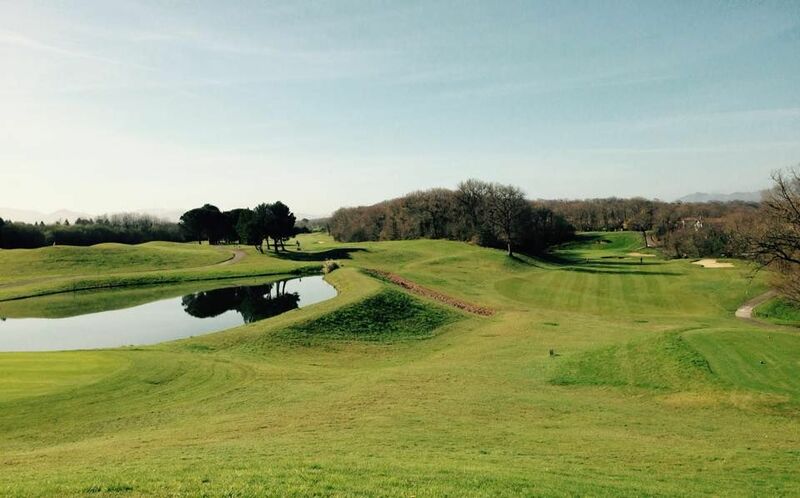 Hilly and planted with oak trees, the wide fairways incorporate multiple obstacles (wooded mounds, bodies of water, bunkers) in a beautiful natural environment. 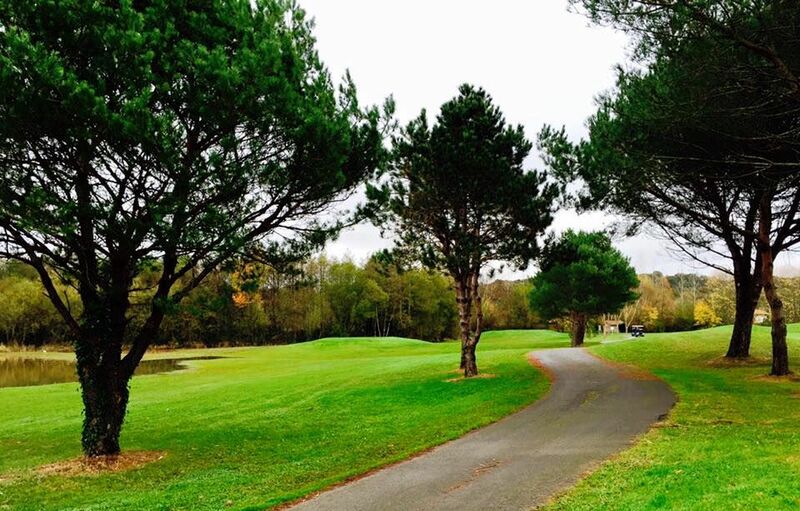 The American architect Rocky Roquemore was able to artfully use the natural hilly and wooded landscape by drawing a course with many contrasts and multiple playing options in the magnificient background of the Basque Pyrénées. 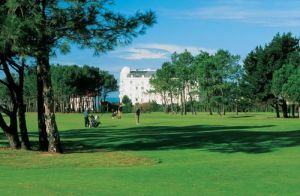 Makila Golf Club - Makila - 18T is not yet in our pool of Golf Courses for orders.